Recently I had been asked if I wanted to try out Kismet's Coco Rinse coconut oil pulling kit and since I hadn't tried oil pulling before I said yeah, why not! 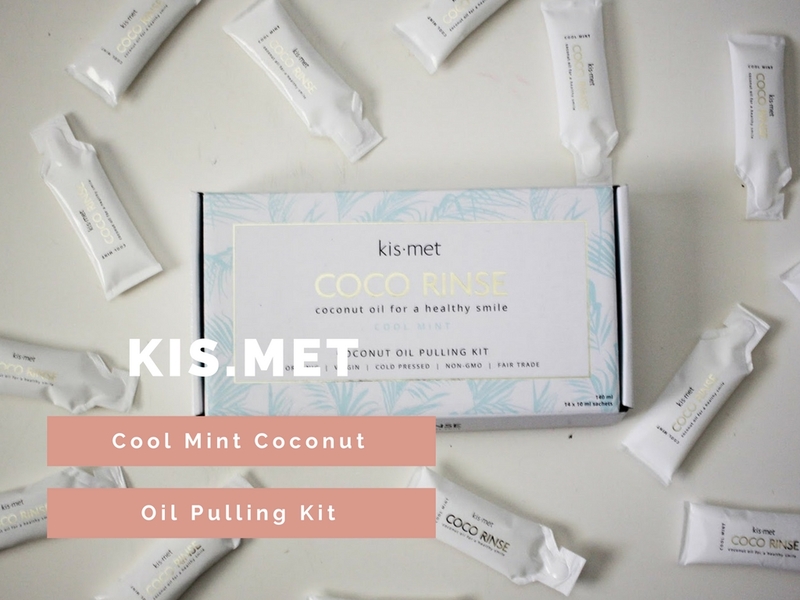 I have definitely had my doubts about oil pulling because in recent years people have been saying that coconut oil is the be all end all and I just couldn't believe it so I thought I should try it out to really see for myself what all the hype was about. I was sent the Cool Mint Coconut Oil Pulling Kit. I was excited about the mint flavour part of it because as much as I like coconut flavour it helps with the idea that it should be in your mouth and it will actually help freshen your breath, etc. It also tastes wonderful, so that's a plus too. 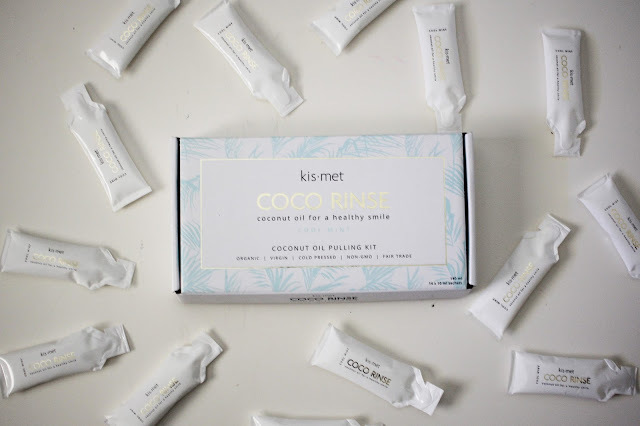 You really need to like coconut to try oil pulling because if you don't like it it's going to be 10-20 minutes of displeasure for you. Oil pulling is said to whiten your teeth, freshen your breath, reduce plaque and tartar build up, reduce headache, balance hormones, and give you clearer and softer skin. The cool thing that I've noticed almost instantly was I usually get weird coffee breath where after one cup of coffee I have bad coffee breath the entire day and it's the worst. The day after I started this I didn't get that, once I finished my cup of coffee it didn't linger and I was so happy about that. I no longer have coffee breath and that's enough to get me hooked on oil pulling. 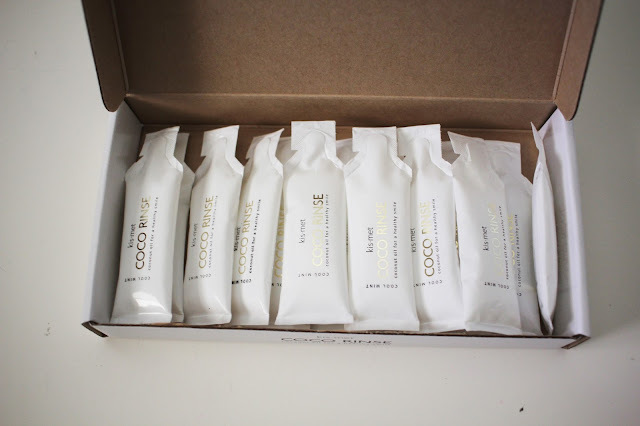 In the Coconut Oil Pulling Kit you get 14 sachets of coconut oil for $29.99 CAD or you can sign up for the monthly subscription where it's $25.99 CAD. You open them, simple squeeze into your mouth and swish for 10-20 minutes. You may want to warm them up a bit before you squeeze them out because I know in my bathroom they would be basically liquid except a few chunks would be solid which wasn't a nice sensation when first starting to swish it around your mouth. I now warm it up in my hands for a bit first so that the entire sachet is liquid. 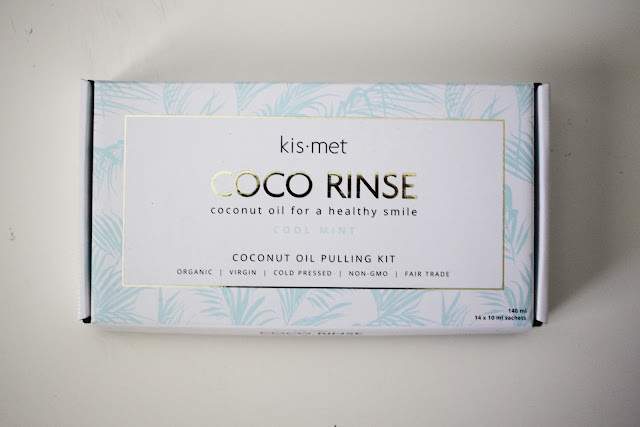 Let me know if you've ever tried oil pulling and what you thought of it? Did it work out for you and is it something that is apart of your daily routine?